The Salem Civic Center, the hub of the James E. Taliaferro Sports and Entertainment Complex, became a part of Salem’s landscape October 1967. 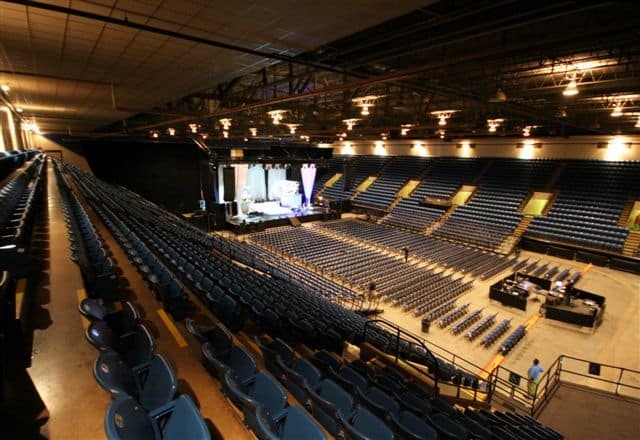 For 50 years, the 7,000 seat facility has welcomed a who’s who of entertainment’s brightest stars to its stage including the likes of Johnny Cash, Kenny Chesney, Lynyrd Skynyrd, Def Leppard and James Brown. The Civic Center currently is the home of the NCAA Division III men’s basketball Final Four, but its round ball roots go all the way back to the old American Basketball Association when Dr. J, Julius Erving, played in the arena as a member of the Virginia Squires. This arena is also a true “civic” center with the city’s Rotary, Lions and Kiwanis clubs inhabiting one of the building’s numerous meeting rooms on a weekly basis.